Between four signature discs and dozens of filmed rounds on YouTube, McBeth became synonymous with throwing several Innova molds, including the initially confusing (XT Nova) and the extremely popular (Star Destroyer). 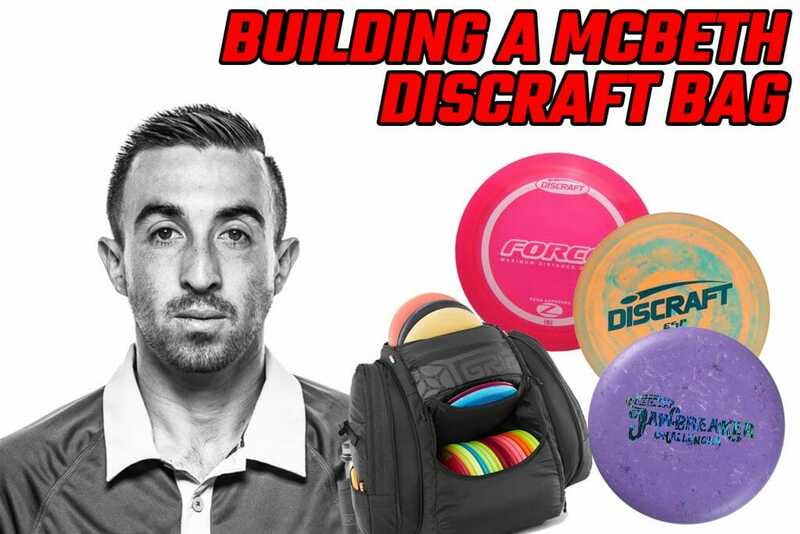 Now that we officially know that McBeth will be slinging Discraft in 2019, we’ll attempt to replace some of his most-used discs. Details are still hazy, though, as it has been announced that McBeth will have his own line of discs that may include some as-of-yet unreleased new molds by Discraft. First off, a very basic rundown of discs we’re looking at alternatives for. We know we’re missing a roller disc. Sorry. Putters are such a feel thing, and the McPro plastic McBeth has been using on his Aviars for years doesn’t have a like-for-like replacement with Discraft. McBeth was said to have used Magnets in his pre-Innova days, but don’t put too much stock in him reviving his teenage ways. Challengers or Roaches would be more in line with what McBeth has won world championships with. 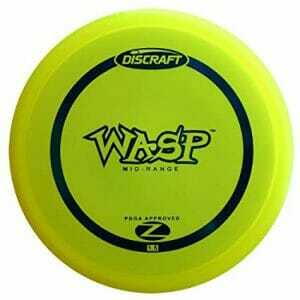 From the current Discraft lineup, we’d expect Jawbreaker Challengers in the bag. He could easily add a Challenger OS as well for upshots. Replacing the Nova will be a bit harder, as it’s such a unique disc. Watching how Michael Johansen seems to be able to put a Banger GT on any line and park every shot with it, we’ll put a D Line Banger GT in the bag for prosperity. Plus the Banger’s shape adds some novelty, much like the Nova’s overmold. Could a Discraft pro possibly build a bag without a Buzzz? To replace his Roc3s, McBeth would be better suited with the stability of the Z Line Wasp more than a Buzzz or Buzzz OS for most of his midrange plays. It also means McBeth would essentially “own” the Wasp: while it’s definitely already bagged by others, the McBeth effect could propel it into another stratosphere of popularity. You could still possibly see a Buzzz SS sneak in as a straight-to-understable mid, but a Z Line Comet seems better suited for the role. Ah, the age-old question: how to replace a TeeBird? McBeth threw TeeBird3s more frequently, but for these purposes, it’s the same hole in the bag. Until a true like-for-like replica arrives for Discraft, and maybe this is one of the rumored new molds that could emerge, we think McBeth gravitates towards a Z Line Undertaker. Nate Doss said they were a “gamechanger” for him, and the Undertaker may be the straightest fairway with a predictable fade that Discraft offers. Needing the very necessary overstable fairway/distance combo, we’ll again dip into the Doss well and point out that he’s a fan of Z Line Predators. Something tells us though that we shouldn’t look past the DGA Banzai, which isn’t quite as fast but is more overstable. 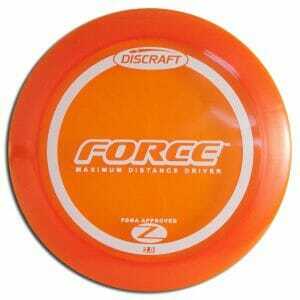 Maybe McBeth oscillates between the two like he did the Firebird and Discmania FD3 for a while there. We’ll default to Predators for now. When he needs some long lines through the woods, consider a Titanium Mantis. MJ says this is the longer Comet. We take his word. It’s in Titanium because that’s what available right now from Discraft’s online store. The Vulture has been an instant hit since it was released earlier in 2018. 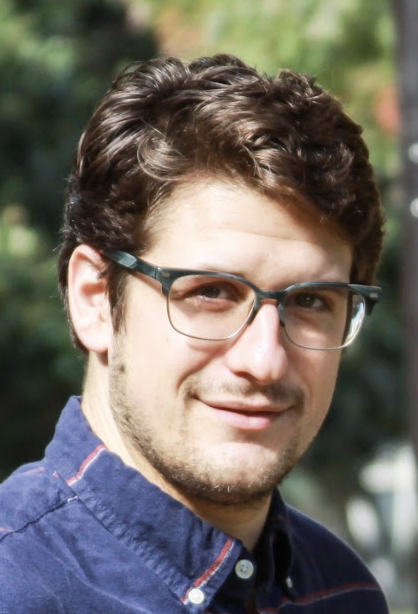 Austin Turner made it his tour series. Replacing the Thunderbird with another avian-themed disc makes sense (it doesn’t). Luckily, it flies very similarly and offers the same control and distance that McBeth will expect for the 9/10 speed slot. ESP Vulture it is. Like the Buzzz, how many Discraft pros don’t bag a Nuke? For McBeth, though, we just don’t see it. 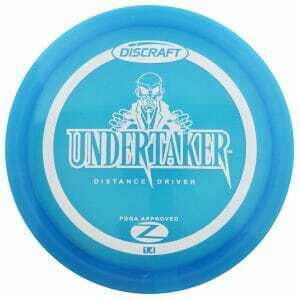 And, basically, the world agrees that Discraft doesn’t have a comparable mold to the Destroyer yet. This is the most likely slot to see a new disc from Discraft geared toward McBeth — and everyone really. If we do not see a new disc, cycling Z Line and ESP Forces makes a lot of sense. They are more overstable out of the box than the Nuke, and being a tick less fast puts the Force more on par with the Destroyer. McBeth only threw Star Destroyers in different wear, but until he’s able to work in enough Forces, we like the switch between plastics that could ease the transition. Comments on "Is This Paul McBeth’s Discraft Bag?"